Once upon a time there was a great band composed of four friends who could barely play their instruments but wrote great songs about growing up. 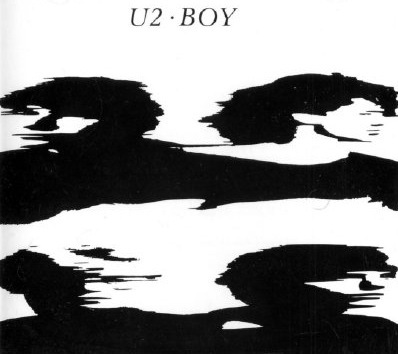 In 1980 they compiled these songs into their first album and named it Boy, because that was the perspective from which the song’s stories were told — “Boy tries hard to be a man,” that kind of stuff. Anyway, the lead singer, who looked like Robin Williams with a mullet and leather pants, had a girlfriend at the time who had a kid. 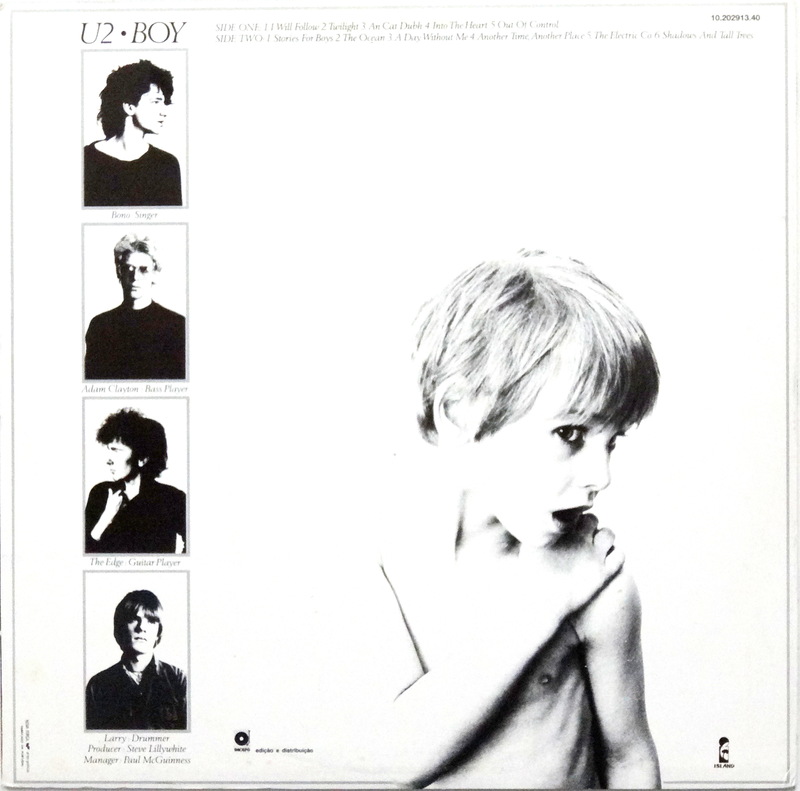 This child also happened to be a boy, so they figured what the hell let’s put him on the album cover. The band’s American record label didn’t like this idea, as in their demented little brains a photo of a child on an album cover obviously meant something sexual. With that notion in their twisted minds they deemed the original sleeve too controversial. The record label solved this problem by replacing the picture of little Peter (for that was the boy’s name) with a stretched Silly Putty image of the four friends who made good music. Two albums later Peter again appeared on his mom’s boyfriend’s album cover, but this time it was okay because the album was named War, and a little boy in the middle of a war zone is okay. I don’t know, you figure it out. Eventually mom and the boyfriend broke up, and “Uncle Bono” became a sort of self-important windbag and the four friends’ music suffered accordingly. Now he looks like Robin Williams in Yoko Ono’s sunglasses. When I hear Boy as a title, the first thing I think of is Roald Dahl’s autobiography. But the U2 album is next! 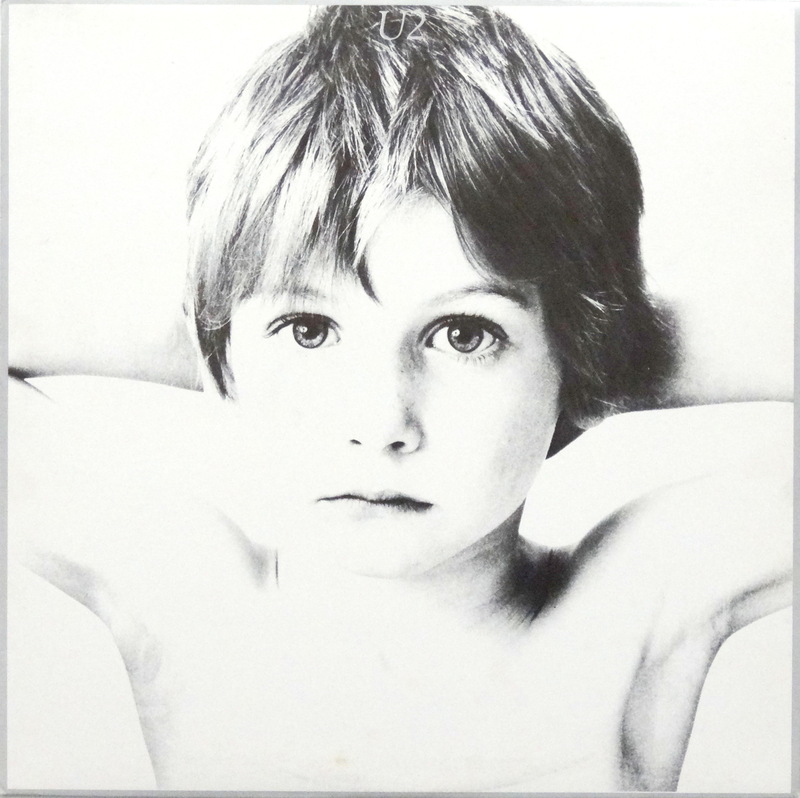 And that boy, Peter, was surely a beautiful kid, well deserving of being immortalized on an album cover. That would be a great “whatever became of,” wouldn’t it?